Investors have pumped £300,000 into the company behind operations and issue management software as used at golf’s Ryder Cup and athletics’ European Championships. The funding for Glasgow-based Raven Controls is coming from business angels David Fletcher (pictured right), Malcolm Jones and Clark Wilson. The money will be used to create up to five jobs at the company, adding to the teams in house development, sales and marketing. 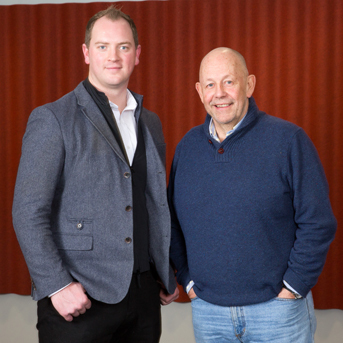 Raven was founded in 2016 by Ian Kerr (pictured left), who served with the police for ten years in counter terrorism planning before becoming a security consultant at several international stadia and venues. 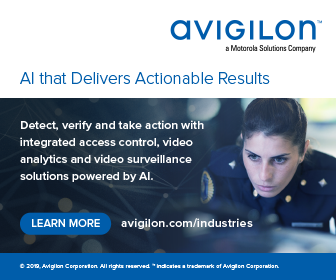 Kerr saw a gap in the market for software that streamlines the process of recording and responding to security incidents in venues and arenas. Raven’s technology allows staff at events to log incidents on mobile phones or tablet computers instead of traditional paper and pen or spreadsheets. Raven is a spin-out from ID Resilience, which has carried out security and readiness testing and exercises for clients including the Scottish Event Campus (SEC) in Glasgow, English Football League, European Tour and the Rugby World Cup 2015. Raven’s team includes a retired police chief superintendent and counter terrorist planning people who were involved in planning events such as the 2014 Commonwealth Games in Glasgow, Olympics 2012 and several T in the Park music festivals in Scotland. The company recently moved into a new base at Red Tree Magenta, a £9m Grade A office building in the Clyde Gateway development between the River Clyde and M74 motorway in Glasgow. Last year Raven won £65,000 from Scottish EDGE, the UK’s largest business funding competition. It also hired Gavin Dutch as its non-executive chief technology officer. In 2007, Dutch founded Kotikan, which as a mobile app development company created apps for Skyscanner, Standard Life and the Scottish Qualifications Authority, before being bought by online fantasy sports unicorn FanDuel in 2015.